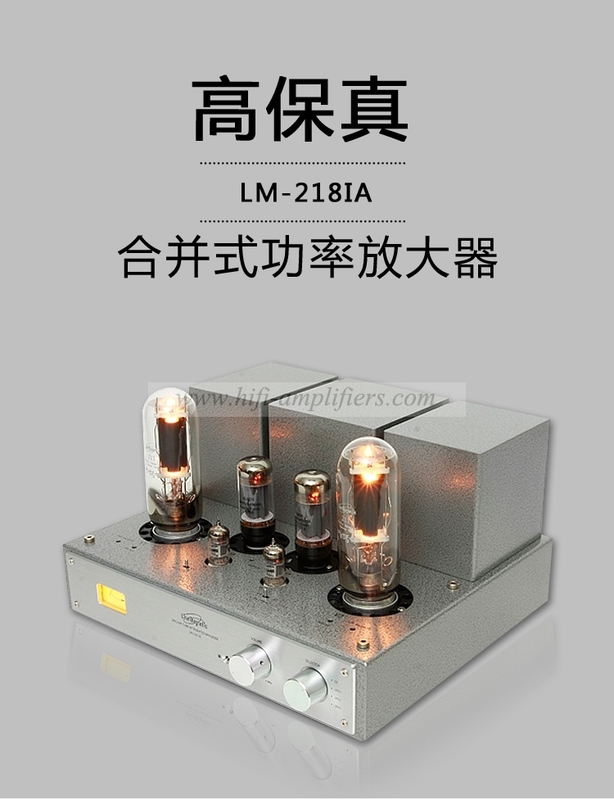 1.Twenty-two watts per channel, Single Ended Triode design, Pure Class A Integrated Stereo Amplifier with 845 output power tubes. 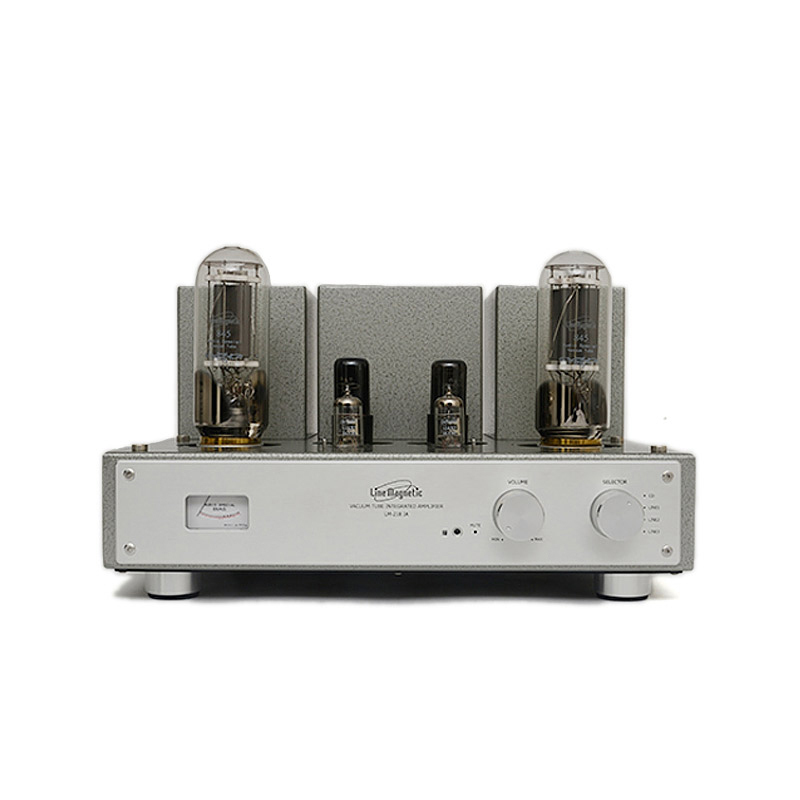 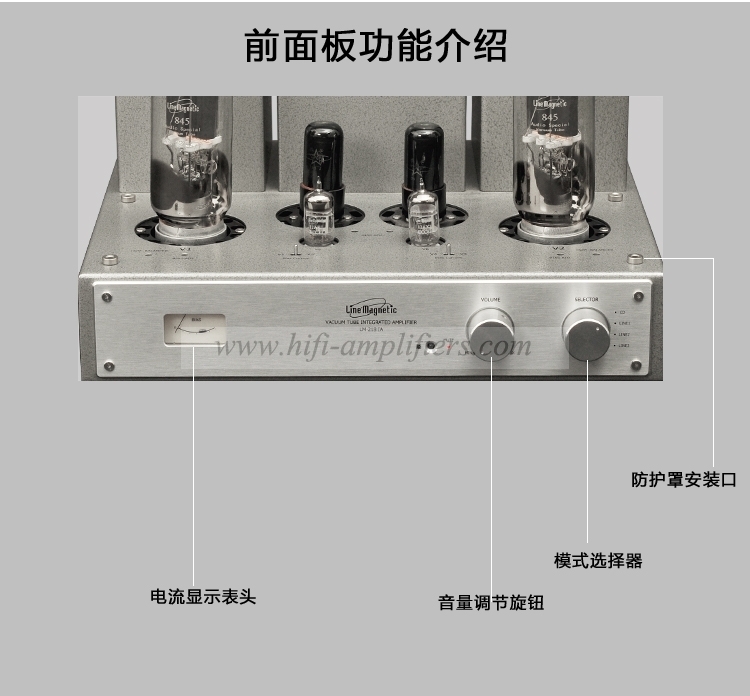 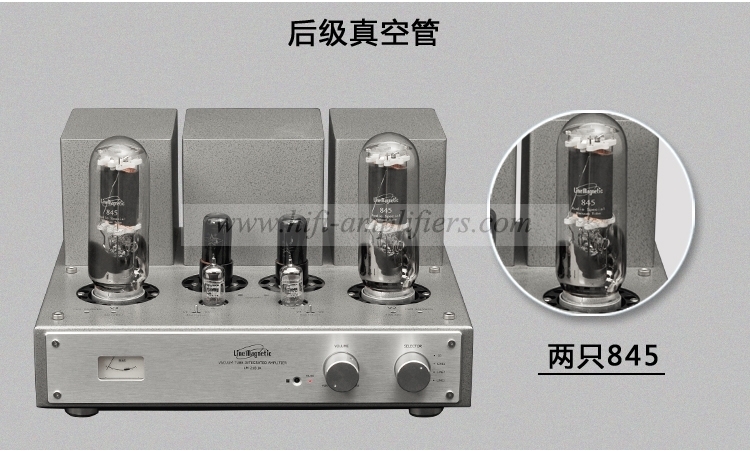 2.All triode tube Integrated with 12AX7 input tubes for voltage amplification, 6L6 driver tubes and 845 output tubes. 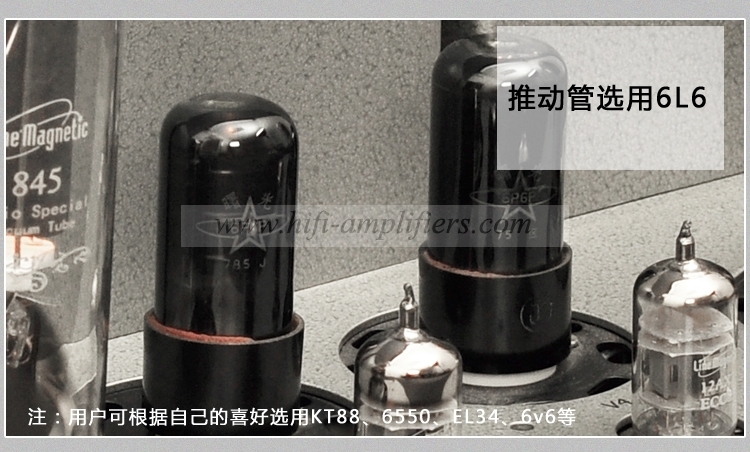 Driver tubes 6L6 can also be replaced by EL34, KT88, 6550, or 6V6 and you can select which tubes you prefer judging by different sounds. 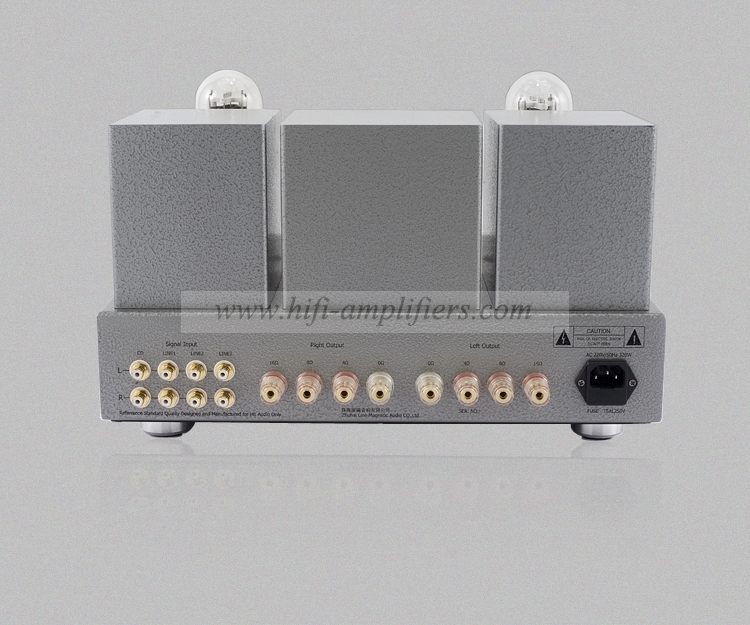 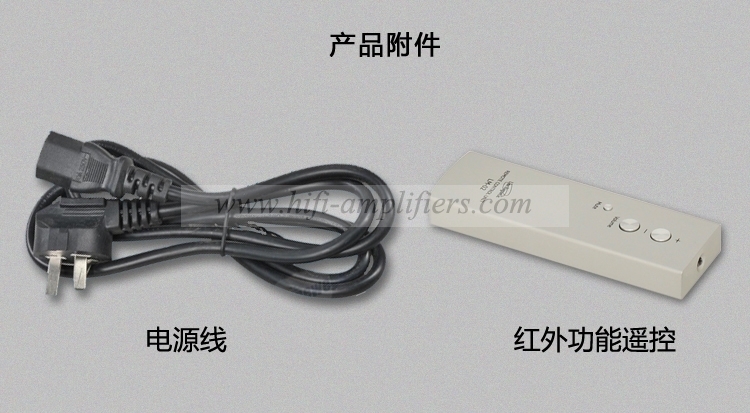 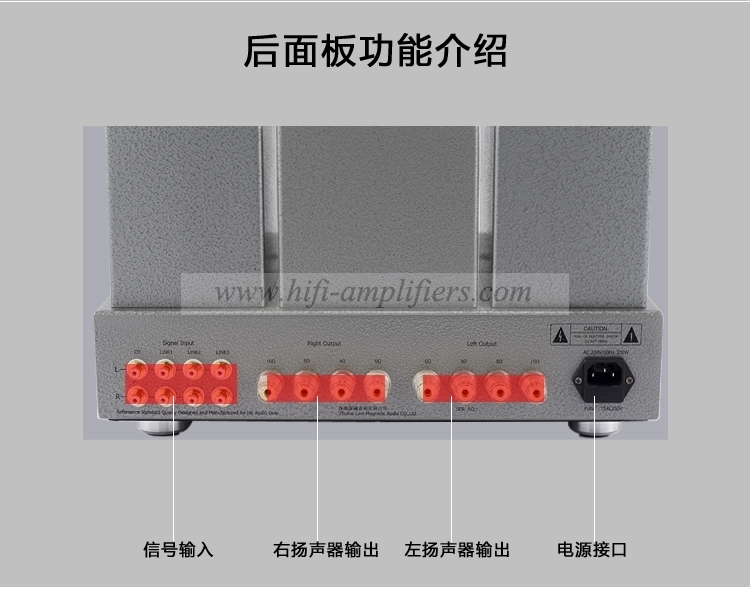 3.4 pairs of inputs and speaker terminals for 4, 8 and 16 ohm speakers are located on the back panel. 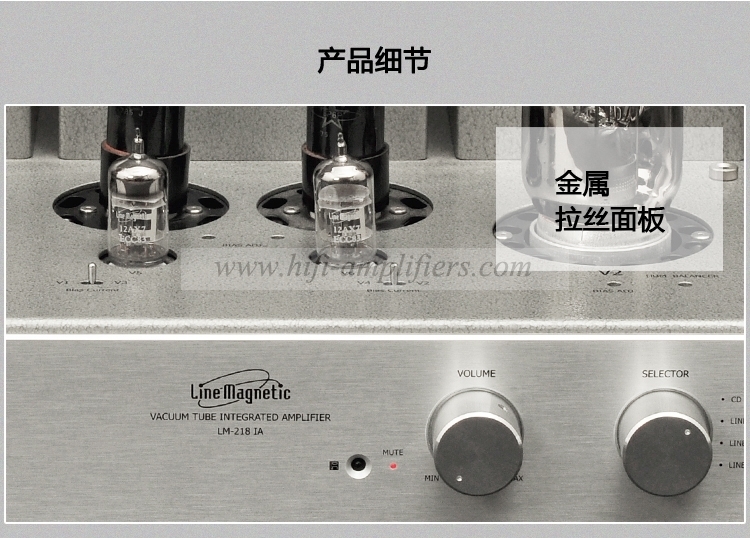 4.User bias control has been used for bias adjustment and one meter has been added to the front plate to allow you to monitor bias with ease. 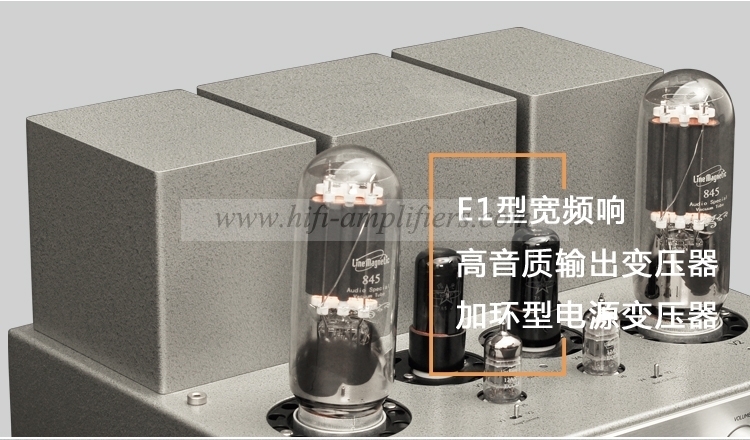 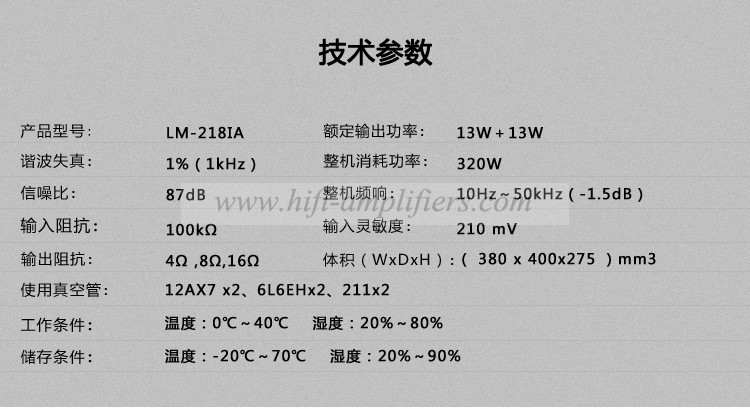 5.Specially designed toroid transformers for power supply and two EI output transformers with wide bandwidth are applied. 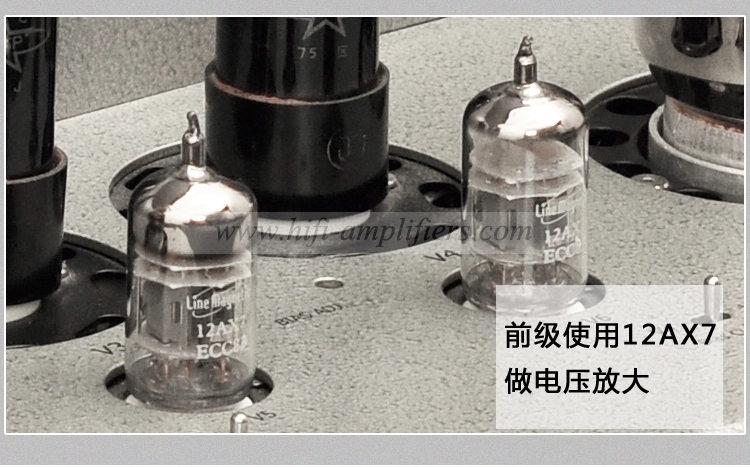 6.Japanese Audio grade ALPS volume potentiometer has been applied. 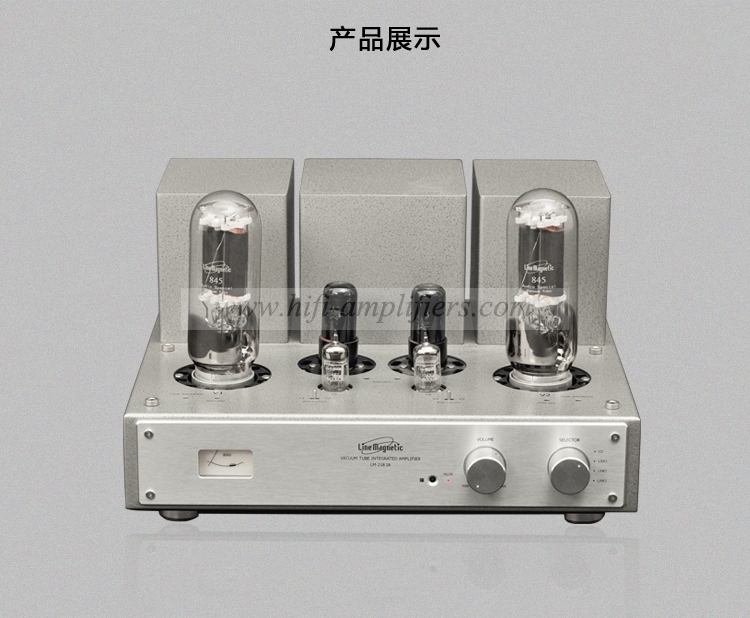 8.Hand made construction with the finest point-to-point wiring. 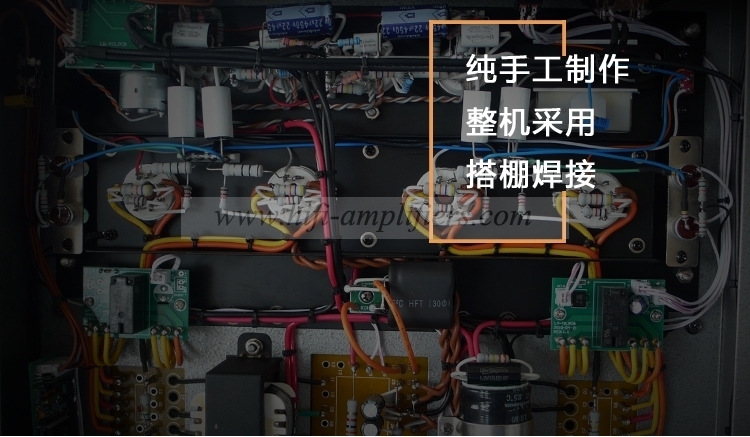 9.SoftStart and time-delay circuit. 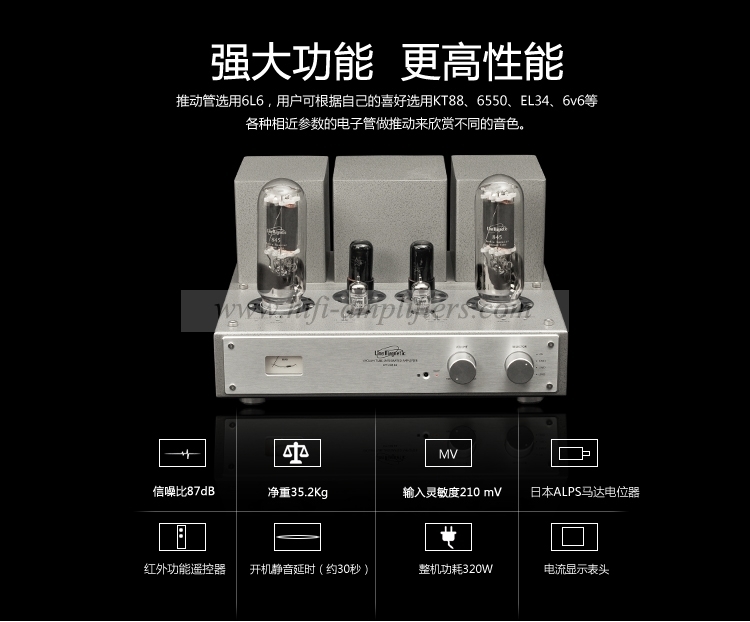 (30 seconds).